Chop all vegetables fine. Bring water, 1 tsp oil, sea salt, quinoa, carrots, and cauliflower boil. Reduce to simmer, and the peas or kale, peppers if you like them soft (or keep out til end), and cook until soft. To prepare the dressing, combine all the ingredients in a mixing bowl and whisk until emulsified. Add herbs and stir again. 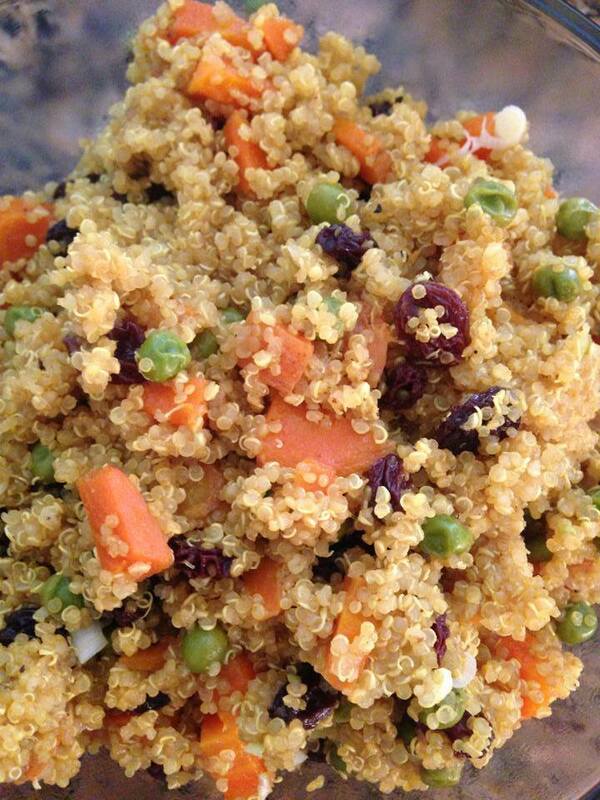 Pour the dressing over the veggie/quinoa salad, ⅓ at a time, stirring to combine between additions. Cover and refrigerate overnight so the flavors have time to meld. Because of the vinegar/acid content, use a glass bowl. Great Picnic Dish! !